Le Fond in Greenpoint, Brooklyn is a culinary dream come true for Chef Jake Eberle and I’m sure many of his diners, including me. I’ve been looking forward to Chef Jake opening a restaurant since the first time I sampled his delicious food back in 2008 (my pre-blogging days!). Since then I’ve followed him and his exciting take on food to great restaurants such as The Lamb’s Club. I’m so thrilled that Jake finally got the opportunity to put his unique touch on French cuisine and create an inviting space to partake in the feast. 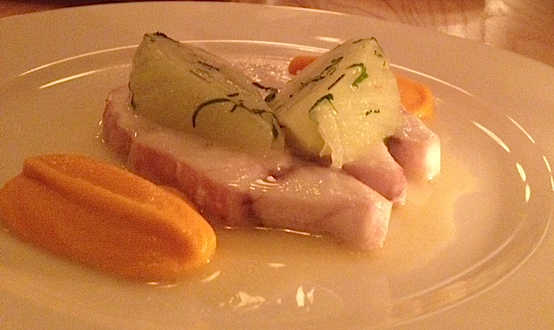 Le Fond’s setup is the perfect mash up of high-end dining meets rustic comfort. Every inch exudes thoughtfulness and handcrafted detail, from the wooden serving tables built by Jake’s father to the ceramic bread plates and paintings made by local artists. But when you visit, don’t forget about all of the love put in the food. 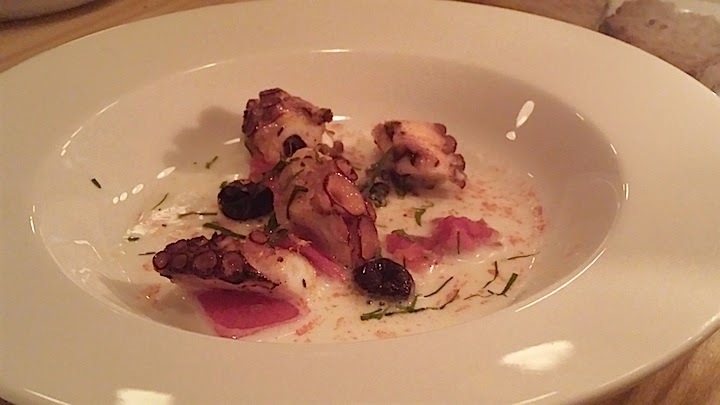 I wanted to order every appetizer on the menu, but narrowed my selection to the artic char, the foie gras terrine and the item that made my eyes light up upon viewing the menu: the octopus. After all, Chef Eberle was the first person who introduced me to the wonderful world of octopus and I haven’t looked back since. The octopus was extremely beautiful and flavorful. I could have eaten multiple dishes of this delicate treat. 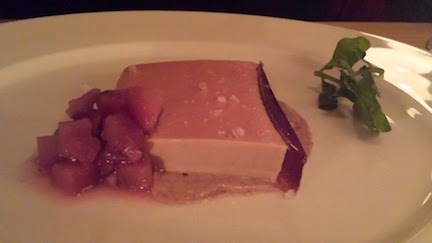 I felt the same about the velvety smooth terrine, which spread amazingly on the accompanying toast. 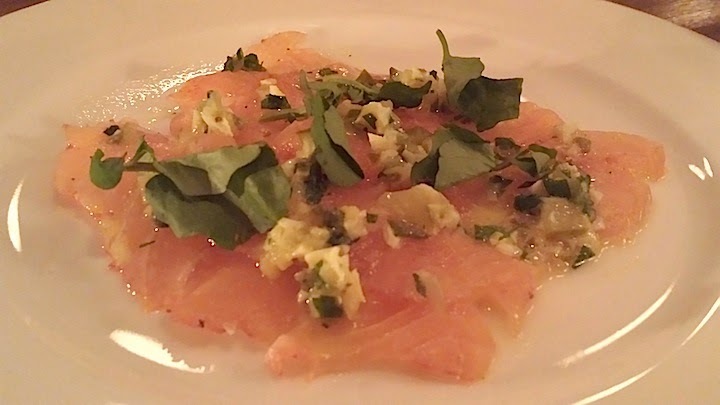 The artic char is smoked in house, which was a perfect complement in the trio of apps. My entrée selection was a bit trickier, because I was in the mood for chicken but I was worried that it wouldn’t be exciting enough, given the other great options. Chef Jake assured me the chicken was a wonderful choice. He was right, the chicken was perfectly moist throughout and topped with a crispy skin. I was also impressed by the fun table-side pouring of chicken jus on my plate. 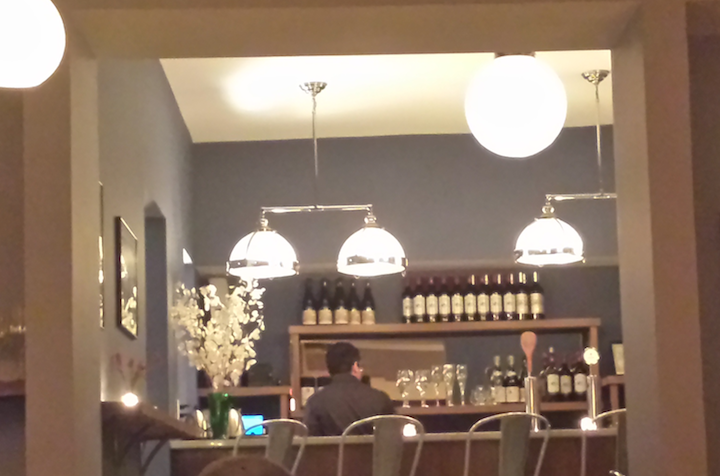 My dining companions enjoyed the Cassoulet and the Wild Striped Bass and raved about how excellent they were as well. For dessert I knew exactly what to order from the previous photos that I had been drooling over on social media for weeks-- the maple grade ‘A’ beignets. 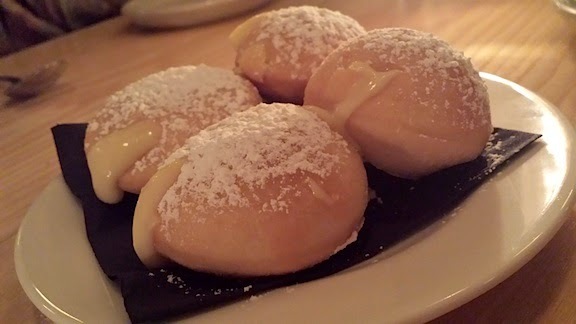 These little bites of heaven were in fierce competition for top dessert with the almond cake that tasted like the best Madeline cookie that I’ve ever had. 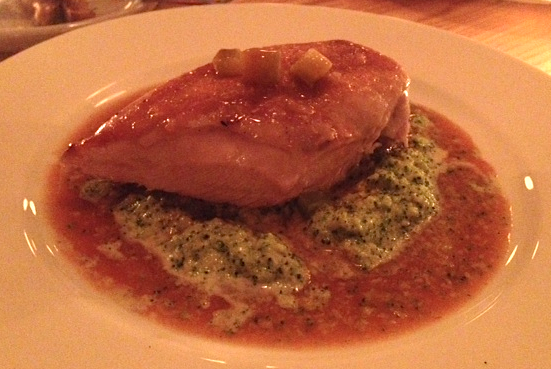 Overall, Chef Jake’s comfy play on French food went far beyond my high expectations. Thanks for a great meal! I’m so glad I now have another delicious reason to visit Brooklyn. And so do you!